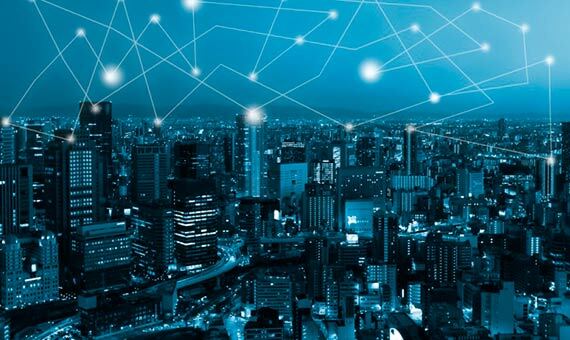 Just as a business will decide which of its systems are better hosted on a more secure private intranet or on the internet, but will likely use both, systems requiring fast transactions, the possibility of transaction reversal, and central control over transaction verification will be better suited for private blockchains, while those that benefit from widespread participation, transparency, and third-party verification will flourish on a public blockchain. 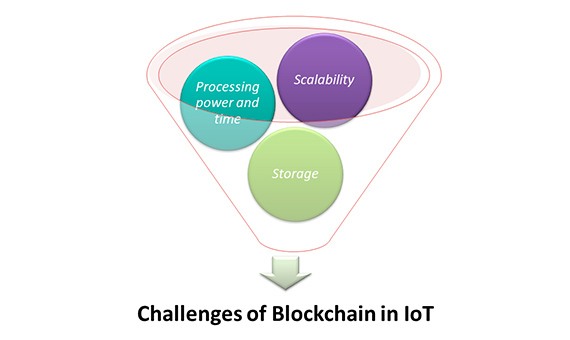 Scalability issues: relating to the size of Blockchain ledger that might lead to centralization as it’s grown over time and required some kind of record management which is casting a shadow over the future of the Blockchain technology. Practically speaking, most present organizations, looking to deploy blockchain based applications, lack the required technical skills and expertise to design and deploy a blockchain based system and implement smart contracts completely in-house, i.e. without reaching out for vendors of blockchain applications. The value of these applications is only as strong as the credibility of the vendors providing them. 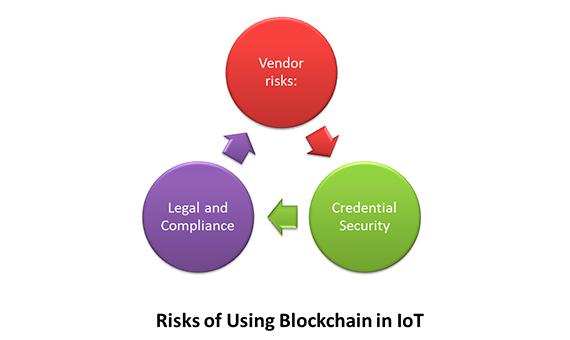 Given the fact that the Blockchain-as-a-Service (BaaS) market is still a developing market, a business should meticulously select a vendor that can perfectly sculpture applications that appropriately address the risks that are associated with the blockchain. Even though the blockchain is known for its high security levels, a blockchain based system is only as secure as the system’s access point. When considering a public blockchain based system, any individual has access to the private key of a given user, which enables him/her to “sign” transactions on the public ledger, will effectively become that user, because most current systems do not provide multi-factor authentication. Also, loss of an account’s private keys can lead to complete loss of funds, or data, controlled by this account; this risk should be thoroughly assessed. It’s a new territory in all aspects without any legal or compliance precedents to follow, which poses a serious problem for IoT manufacturers and services providers. This challenge alone will scare off many businesses from using Blockchain technology.